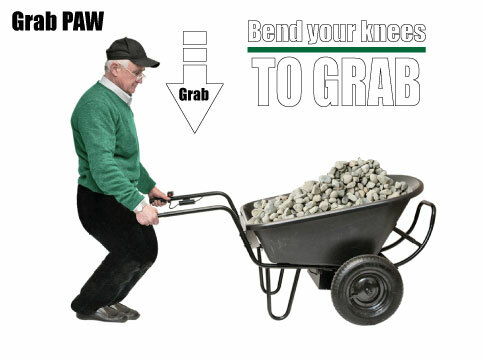 The PAW light duty electric battery powered wheelbarrow is a new product that has landscapers raving! 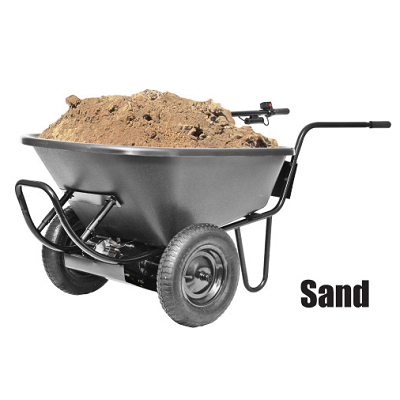 The Electric Power Assist Wheelbarrow will make hauling anything a breeze. 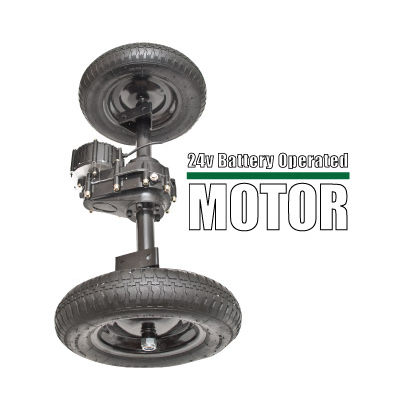 The powerful 24 volt battery operating system will haul all kinds of items. 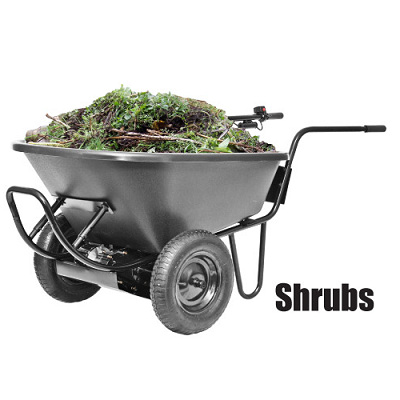 Perfect for hauling dirt, sod, sand, shrubs, wood, rocks and much more. 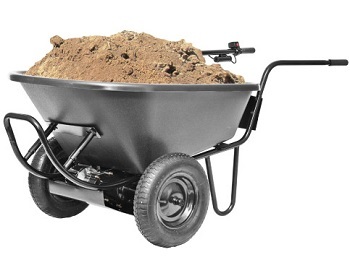 With a 200lb max load capacity the Power Assist Wheelbarrow is perfect to help you with the heavy jobs on your to do list. 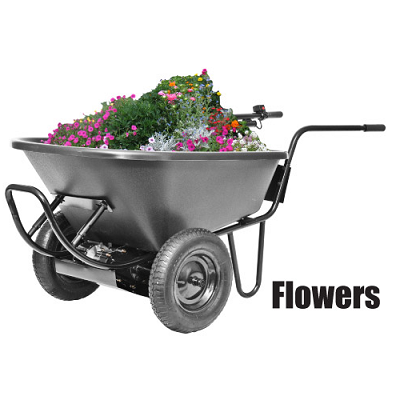 Perfect for sticks, wood, flowers, shrubs, sand, dirt, and rocks. For more information on the PAW see the complete owners manual here. Also available in a 300lb capacity. Genius device, wish I’ve seen this years ago. 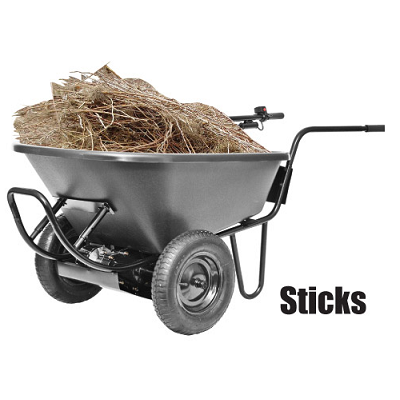 We live in Florida where the grass is thick and pushing a regular wheel barrow is like a workout. The PAW rolls through the thick St. Augustine grass with no problem. It’s balanced and the hand controls are easy to use. Advantages: Great design, solid construction and there is nothing on the market (in my research) like this For the money. Disadvantages: Made in China. A bit more quality control would be appreciated. You need to bend and manipulate the parts a bit during the assembly process. it's awesome does everything and more great job. Advantages: lots of muscle work it all day it also moves other large items with the deck and a hand made rear wheels and hand truck foot. Disadvantages: The handles are a little loose / flimsy. I would add additional bracing or change design. Can be hard to tip and unload in certain situations being heavy at 80 or so pounds. Advantages: Motor supplements pushing sufficiently. 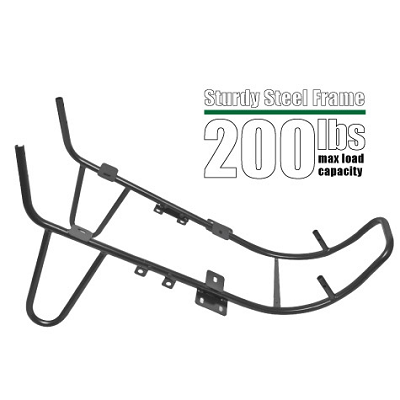 Disadvantages: Framing lacks strength and rigidity to withstand constant torquing on the handles. Dump bar a little award;can't dump at an angle. 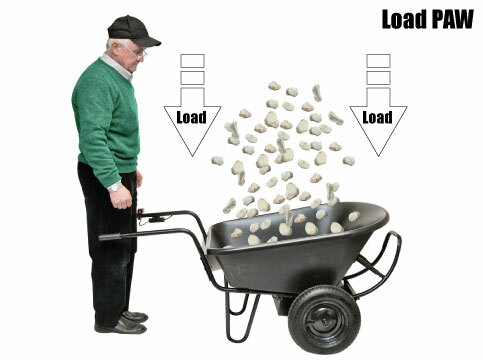 I wish I would have gotten one of these wheelbarrows years ago. Advantages: Makes the job so much easier. I wish I would have bought this contraption a few years back It does exactly what it is intended to do. Disadvantages: Can't think of any. Advantages: Though I've yet to use it I will say that the assembly instructions were excellent. I do look forward to it's soon use as I have to transport gravel and blocks to a remote job site. I Love this machine. Follow the instructions carefully, especially the pictures. It's easy to install things backwards if you don't. The PAW manual gives you a phone # for assistance. Used it and received excellent, prompt help. I do a lot of tree cutting and log splitting, hauling large pieces to my splitter. Up hills no problem. Battery lasts all day. Easy to run, drive. 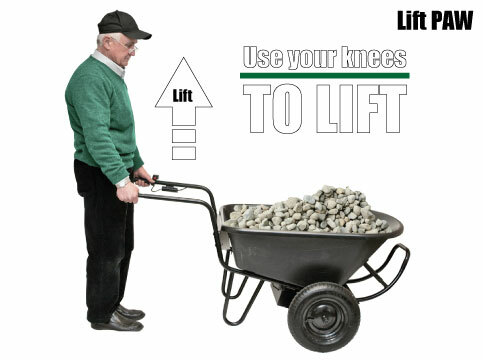 If you need some assistance hauling stuff in your wheel barrow this is for you. Construction is o.k. and wish the frame was a little less wobbly (due to having it a component and bolting together) but I'll install a couple of cross tubes to make it tighter. I haven't run across having to stop and recharge during the day. Power is plenty for the load and I occasionally have to go up a 20 degree slope. Poly tub is o.k. but waiting to see how it lasts the long haul. Hopefully, one can be purchased to replace if needed. I owned a DR Garden Cart which as great. It stopped being made so I bought the Handtruck 2Go Wheelbarrell. It has been a superior machine. If buying, note the following design flaws though of the machine: (1) Unit does not automatically turn off after use to save on battery (must be manually turned off);(2)Unit's battery recharge wiring is awkward;(3)Unit requires effort to dump out entire contents;(4) Unit is sold without a warranty apparent; (5) Unit's turn off switch is poorly located. Overall, definitely worth the money though, but you just have to live with reality of some poor design and marketing features. We have used a Neuton cart for many years, but it died and the product is no longer made. This is the best replacement we have found, though we may add a rear swivel wheel in the future. The only hiccup I encountered during assembly was the battery box. The connector/socket for it was protruding out of the case and had no fasteners. I added two roundhead bolts and nuts that I had on hand, and stuffed pieces of rigid foam in the end of the box to stop the sliding back and forth of the batteries within the box. I'm impressed most of all by the relative stoutness of the motor and gear box assembly. The neuton motors performed well, but their small appearance together with the plastic components did not engender great confidence. The PAW motor feels more powerful and has a nice feel when making small maneuvers with the power off. 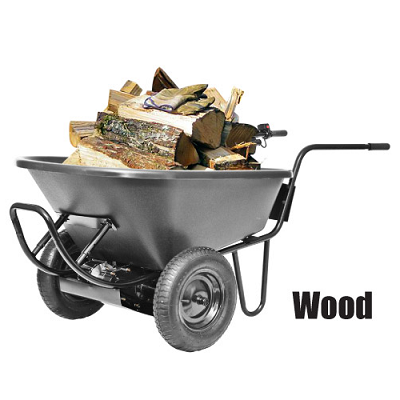 Have limited use so far used to haul fire wood and light yard work added a 10 inch rear wheel makes it a lot easier with a heavy load . Seems to be a good product. Received cart OK. The 2 wheel nuts were lose and almost fell off b/4 I tightened them. the unit had rust on the motor part, but didn't effect the running. The unit works as advertised and I use it to haul wood into house thru 31 inch door. It fits with 1 inch to spare. I was a good price and seems to be a good unit. My old Nuton garden cart gear assembly broke and they are out of business so I found this one. The company makes many other units and I feel they will stand behind their equipment. I'm a 69 yr old lady who mostly takes care of her farm with 7 horses and an outside wood furnace with little outside help (hard to find). When I lost my DR garden cart that saved me from the rough winter last year, I was desperate to find a replacement. After much searching I found the PAW at a cost more than $1000 less than anything else available. So far I've just loved it. Company is very supportive and it is more powerful and easier to use than the cart was. Since I can no longer move faster than a walk due to health problems I can already see the PAW is going to assist me in moving faster while I'm working and will help to strengthen me also. I find it hard to believe more companies have missed helping the homeowner with a more reasonable help. (probably would give 5 stars, but just haven't had it long enough to give many tests yet. My wife purchased this PAW for me and it is definitely one of the best investments she made in my garden. Assembly was quite complicated even though I am an Engineer, but once assembled I fell in love with it. 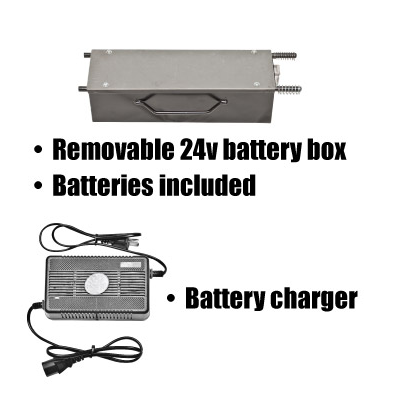 One criticism is the location and ease of accessibility to the Battery Pack. It would have been better positioned under the Control Unit. However I would hate to be without my PAW now so take a bow HandTrucks2 Go, Thank you! except the screws under the 6 Cu. Ft. Poly Tray were hard to reach. I would like to see a larger tray for light loads of leaves and grass and a flat tray for moving posts and long items. and I could not change it. Thanks for handtrucks2go great service. 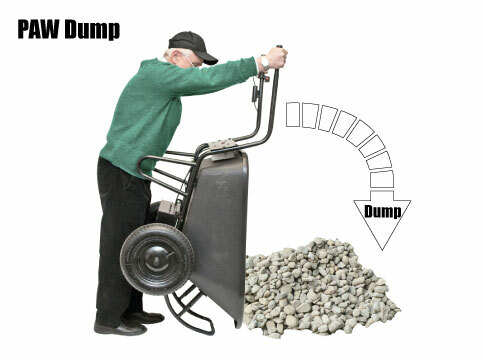 Is the dump bed power operation or manual? 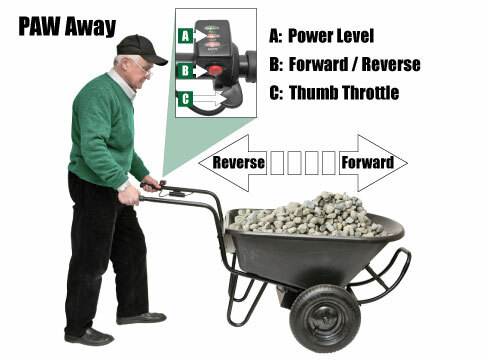 Handtrucks2go Specialist: Barrow only has a power drive not a power dump. 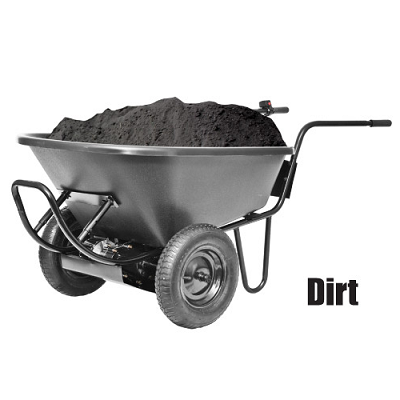 If you are ready to spend $$$ for an electric dump wheelbarrow, than have a look at this product. Can I get it assembled? 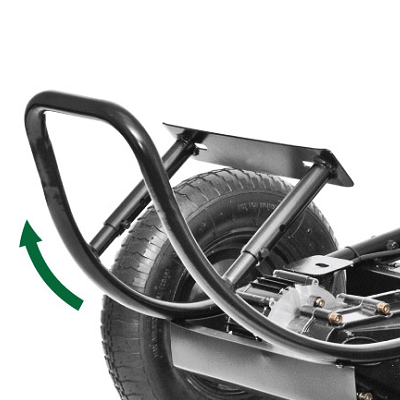 Handtrucks2go Specialist: The Paw comes unassembled with very clear assembly instructions. Unfortunately we do not have an option to ship it assembled. As per other customers reviews, "The PAW manual gives you a phone # for assistance. Used it and received excellent, prompt help." Hope that helps. Does this have power drive and reverse? Does it have a braking system? 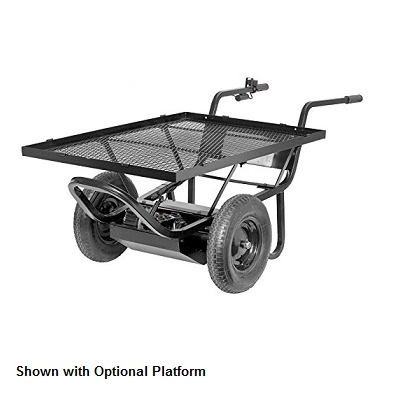 Handtrucks2go Specialist: No, it does not, it will free wheel like a manual wheelbarrow when you stop engaging the power control.